Th cushioned Splatoon socks feature a vibrant pattern of squids in all the colors of the inks! They make a great gift for any Splatoon fan! The super soft cushion padding on the inside soles of these socks give them unmatched comfort. Bring a part of the Pokemon world into your humble home with this one of a kind terrarium nest! Carefully arranged and glued into place are real twigs, faux plants and of course, Pokemon! 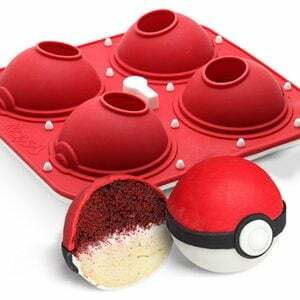 A cool and unique gift for any Pokefan. It’s time to cover up that non-working fireplace and warm hearts instead with an 8-bit fire decoration. The pixelated works of art are made to resemble the fires seen in the Legend of Zelda games, and are available in various sizes and styles. Flash. A move to reduce accuracy… and loss innocence. This hilarious t-shirt captures the moment an unfortunate Dugtrio family had to endure a sneaky attack from Pikachu. Luckily there wasn’t any Digletts nearby when it happened!